The K League Classic moves into round 9 this weekend and includes 2 games on Tuesday which is Children’s Day here in South Korea. The highlight in our opinion is the top of the table clash between leaders Jeonbuk Hyundai and second placed Suwon Bluewings. The league table is still developing as only 8 games have been played, also as 4 of last weeks 6 games ended in draws teams stayed pretty much where they were. Jeonbuk, Suwon and Ulsan lead the way, whilst Daejeon, Busan and Incheon are currently struggling. FC Seoul have 1 win from their previous 4 games, but did ease to a 3-0 win in the FA Cup during the week. Seongnam are unbeaten in 5 with 2 wins and 3 draws. They struggled during the week in the cup only beating National League side Busan TC 1-0. FC Seoul have lacked consistency recently, but a generally strong at home. Therefore we’re giving them the edge. League leaders Jeonbuk Hyundai lost last weekend and struggled in the cup vs. Goyang (but did win AET). They have won 6 and drawn 1 of their first 7 games this season. Suwon Bluewings also lost last weekend in a shock result vs. lowly Daejeon. But are still 2nd in the league. This should be an even game, which we see ending in the draw. Gwangju have drawn their last 2 games and seem to be regaining their early season form. Jeonnam Dragons have won 3 of their last 5 games and beat league leaders Jeonbuk Hyundai last weekend. Jeonnam will be favorites but it will be close. 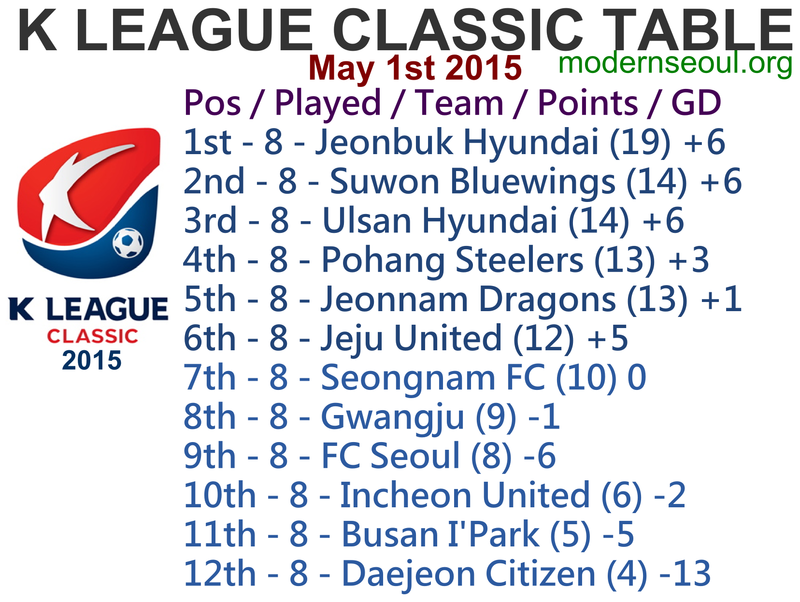 Bottom club Daejeon picked up their first win of the season last weekend over Suwon Bluewings. Incheon United are still looking for their first win of the season, but have drawn 6 of their 8 games this season. Jeju United are on a bit of a slide with 1 draw and 1 defeat in their previous 2 games. But did beat Anyang 4-1 in the cup during the week. 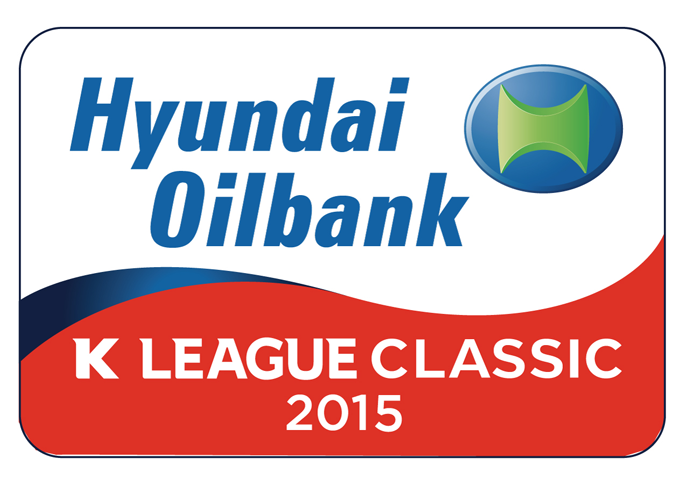 Ulsan Hyundai are currently 3rd placed and the only side still unbeaten, but have drawn their last 4 games. We’re siding with Jeju to edge this one, as they have looked very strong at home so far this season. Pohang Steelers have 7 points from their last 3 games and have moved up into 4th place. Busan stopped their bad run losing of 5 games straight, by drawing last weekend. Pohang Steelers will be favorites to win this local derby. 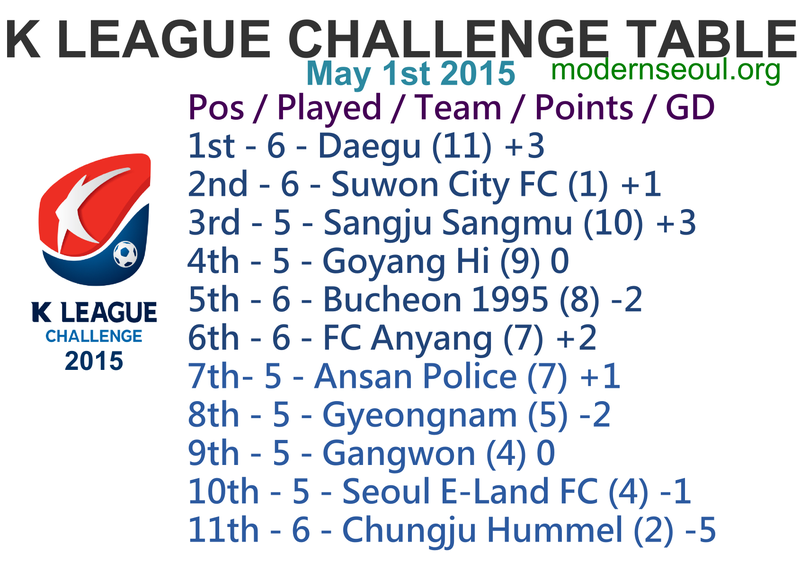 The K League Challenge moves into it’s 7th round of the season and is still very close and competitive. 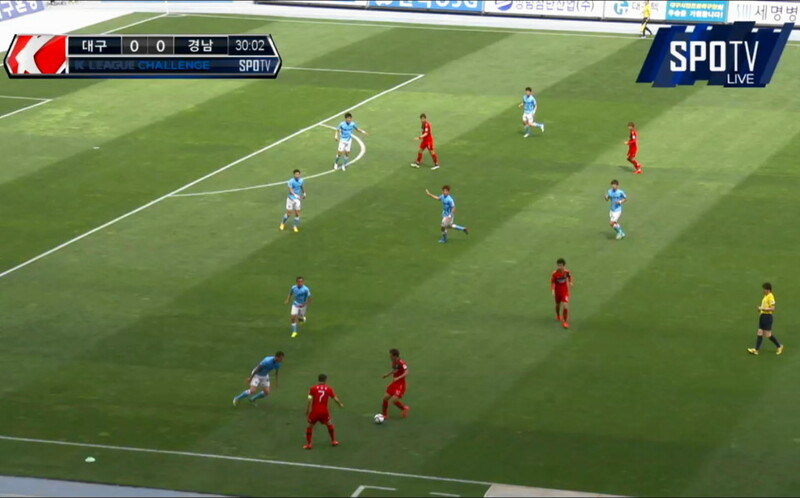 The highlight games this round are the games between Suwon Bluewings & Seoul E-Land FC as well as the Children’s Day game between Ansan Police & Sangju Sangmu. Prediction Review: 4 out of 5 correct results with one perfect score.